Happy 237th Birthday U.S. Army!!! 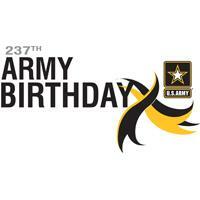 For more info please visit the Army’s Birthday page. Previous PostOne Less Mountain Benefit for VeteransNext PostFlag Day!! !